Tomorrow is Cinco de Mayo. And Cinco de Mayo is holiday time. Holiday time in Mexico. While we celebrate Mexico’s victory against Napoleon’s invading force in 1862, we are encouraged to do so with quality tequila. Here’s the first of two reviews of premium tequilas, both of which are excellent choices for your May 5 consumption. El Mayor (translation: “The Greatest”) is a relatively new entrant to the tequila space, an old brand that relaunched in 2005 during the tequila mini-boom. As with all premium tequilas, it’s 100% blue agave. El Mayor’s claim to fame is that its agave is grown in the Jalisco Highlands, which it says leads to a sweeter product. The proof is in the sipping: El Mayor Blanco is noticeably sweeter than most other Blancos on the market, very smooth, creamy, and lightly spicy. Think nutmeg and allspice hints, and a touch of floral, too. The tequila bite is there, but it’s mild. El Mayor has the smoothness of a Reposado while maintaining its crisp, unaged character. That’s a tough act to follow, and it’s a spirit that I recommend highly, though it can be quite expensive. It works exceptionally well in cocktails, too, and the bottle is a nice conversation piece, too. I look forward to trying the Reposado and Anejo bottlings in the near future. This tequila is not very good. I live in Germany an I would like buy a bottle of El Major Anejo Tequila. In my country I cant buy this item. Thanks for helps, best regards. The proof is in the sipping: El Mayor Blanco is noticeably NASTY more so than most other cheap Blancos on the market. It is NOT “smooth, creamy, and spicy. ..nutmeg and allspice, and a touch of floral. The tequila Bite is there,” and it’s Nasty. 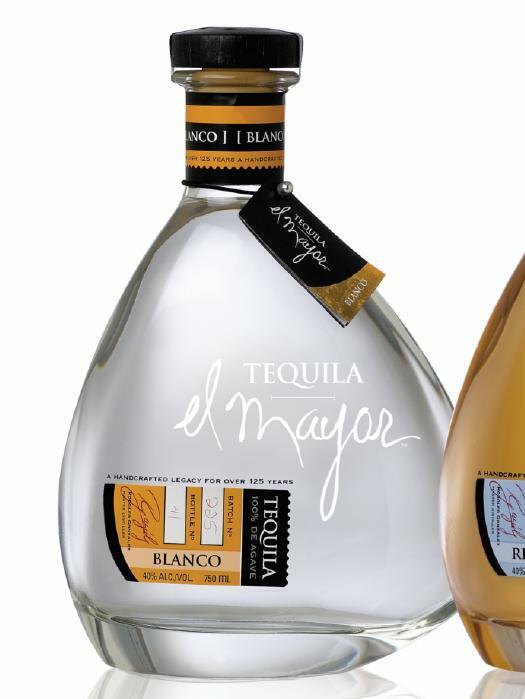 El Mayor blanco has the smoothness of a Reposado while maintaining its unaged character. It’s “a tough act to follow,” (so true, gag, gag) and… “it can be quite Expensive”. ..and “the bottle is a nice conversation piece”. That’s ALL this tequila has to offer is the unique bottle style. I used their words to describe this tequila.